Once you get the tools, walk through the Getting Started guide (that’s a link for the Windows version, there is also a tutorial for fruit computers). It’s pretty simple and gets you up and running in a few minutes flat. Currently you can only do pure ActionScript projects. (Important Edit: I misspoke here very badly. The Playbook has multiple ways to write applications. What I meant is that for AIR-based development it must be ActionScript-only Flex projects. One of my readers is saying I’m wrong though so I may edit this again. :) Hopefully they will add support for tag based Flex projects soon. I love ActionScript - but when it comes to layout I’m a lot more familiar with the MX tags. Of course, it would be even cooler if they also supported HTML based AIR applications. Either way though I think it’s pretty darn cool. Could you imagine a tablet based version of CFAM, the mobile version of the ColdFusion Administrator built by Todd and myself? I think that would be pretty darn cool. Anyone else playing with this yet? 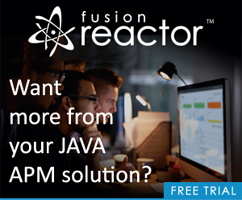 Want a copy of ColdFusion Builder?